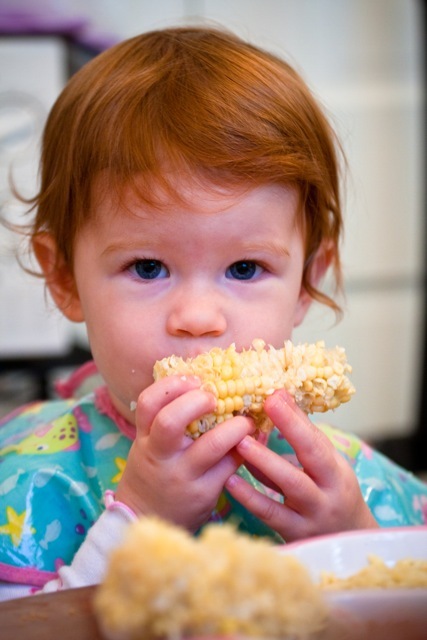 Corn…a delightful food that comes in many forms. Corn pudding, creamed corn, whole kernel, Mexicorn. 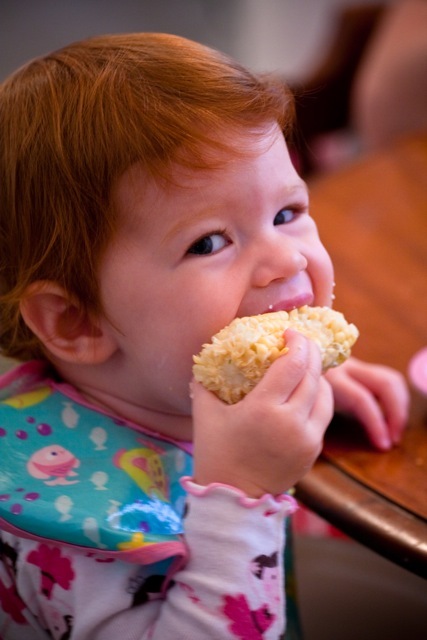 Lily likes corn on the cob though. I think if she could she’d eat the cob. She just naws the poor thing until there is nothing left but a nubby stub that slightly resembles what used to be corn on the cob.